Brief Description: The Xaqua InOut Complete Overflow System combines drainage and return in one easy-to-install fitting. 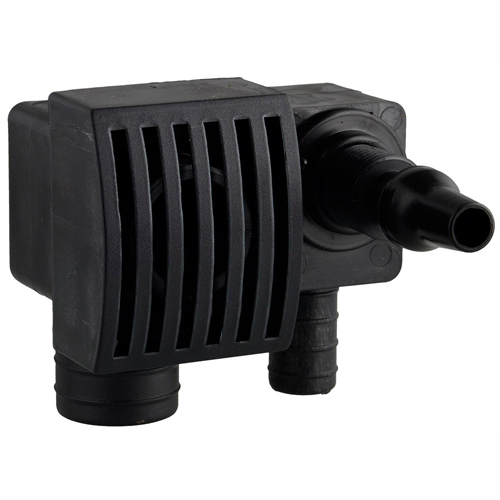 Designed for aquariums with an external sump filter and two drain holes, InOut is installed externally which means that it does not affect the volume of your tank. 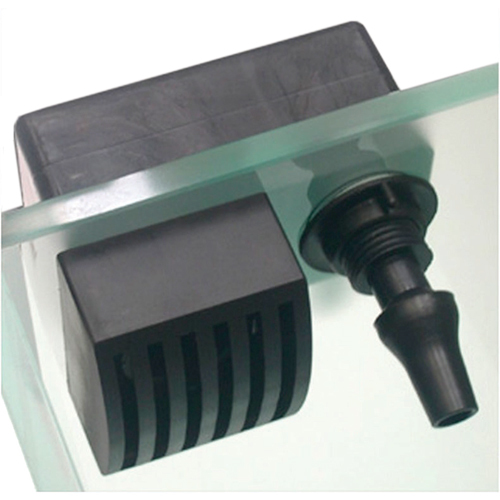 With no moving parts and no additional fittings required, the InOut is certainly one of the more elegant and cost-effective ways to plumb up your aquarium tank. Notify me when "Xaqua InOut Complete Overflow System" is re-stocked. Rated for a maximum pump capacity of 660 gallons/hr, the Xaqua InOut has a unique hydrodynamic pulsing feature that activates when pumping water at rates of 500 gallons/hr or greater. A special inner conformation adds a pulsing effect to the water returning to your tank. This helps keep the system virtually noiseless while also adding a cool waves to your aquarium water that are particularly pronounced on the surface. This makes the InOut an appealing option for hobbyists looking to enhance both performance and aesthetics. External dimensions 12 x 5 x 6 cm.